IGNOU Grade Card 2019 - Indira Gandhi National Open University has announced the results of December 2018 TEE on January 9, 2019. The university issues IGNOU 2019 grade card to students who have appeared for the Term End Examination (TEE). The grade card of IGNOU 2019 is available to students in online mode and is issued for both undergraduate and postgraduate courses. The grade card of the student will be released only a couple of days after the announcement of the results. Therefore, for January 2019 cycle, the results and IGNOU grade card 2019 will be released in the month of December 2019. For the July 2019 cycle, the dates for results and grade card are yet to be notified. To check IGNOU 2019 grade card for their respective courses, candidates can scroll and down and click on the official link given in the page. The grade card of IGNOU 2019 mentions vital details about candidate’s performance in the TEE and assignment status like the name of the candidate, course code, name of the programme, number of assignments submitted, theory marks, practical; marks, etc. 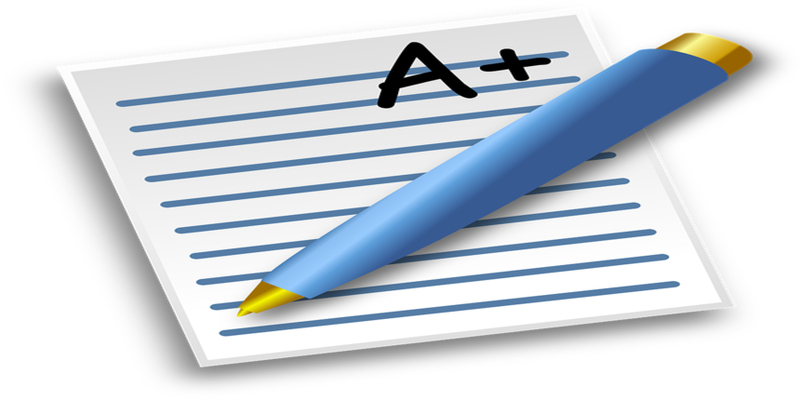 Since the grade card mentions vital information about the candidate’s academic performance, it is extremely important for candidates to take its print out and retain it for future references. Candidates should note that the there is a difference between IGNOU results and IGNOU grade card 2019. The result page will show only candidates’ course details and the TEE marks, whereas the grade card will show course details, assignment marks, TEE theory marks, TEE practical marks and status of the assignments. Therefore, IGNOU 2019 grade card is a more detailed account of the candidate’s academic performance. Indira Gandhi National Open University provides a vast range of undergraduate and postgraduate courses to students through distance and open mode. IGNOU admission 2019 are being conducted from November 5, 2018 to February 11, 2019 for January 2019 cycle and in May-August 2019 for the July 2019 cycle. The term end examination of January 2019 cycle will be held in December 2019, while the TEE for July 2019 cycle will be held in June 2020. For more information related to grade card of IGNOU 2019 like important dates related to grade card, steps to check the grade card, details mentioned, and frequently asked questions, candidates may read below. Given below are important events related to the issue of IGNOU TEE grade card like conduct of examinations, assignment submission, result announcement, and so on and their respective dates. Candidates are advised to make a serious note of these dates so that they do not miss out on any important step and cost their degree from the university. To check the result of December 2018 TEE, click here. Before checking the grade card of IGNOU 2019, candidates should first check their results and know the marks they have obtained in the term end examination. To download the results, candidates can follow the given steps. Click on the official link given below for results. After clicking on the link, candidates will have to enter their nine-digit enrolment number. Once they have entered their correct enrolment number, candidates will have to click on the ‘submit’ button. Thereupon, candidates’ results will appear on screen. To download IGNOU TEE grade card, candidates can follow few easy steps given below. Candidates first need to click on the official link given below. Upon clicking on the link, candidates will then have to go to ‘student support’ section and click on ‘results’. Next, candidates will have to choose the option ‘grade card’ out of a list given on the left-hand side of the page. After clicking on the ‘grade card’, candidates will see a new window which will ask them to enter their programme and enrolment number. From a list of programmes, candidates will be required to choose his/her respective programme. In the space given for enrolment number, candidates will have to enter their enrolment number. After entering these details, candidates will have to click on the ‘submit’ button. Now, the candidate’s grade card of IGNOU 2019 will appear on the screen. To check IGNOU grade card for 2018, check here. Students enrolled with IGNOU are often unaware of how their marks are calculated by the university. IGNOU, in fact, adopts its own mechanism for calculating students’ grades. Therefore, instead of staying in dark about the grading formula, candidates can refer to the detailed breakdown of the grading process given below. In the following table, candidates will find how much weightage is given to assignments, and term end theory marks. So for example, if a candidate scores 80 marks in TEE, then the candidate will be awarded 56 marks. And if a candidate scores 70 marks in assignments, then the candidate will be awarded 21 marks. The total marks in that subject will therefore be - 56+21 = 77. Candidates can calculate the percentage by adding marks of all the subjects and dividing it by 1200. Candidates will also be able to get their results/grade card re-evaluated if they are not satisfied with their results. To do so, candidates will have to fill a revaluation form which will be available online. Candidates will be required to enter the code of the course which they want to get re-evaluated and marks originally secured in it. The request for re-evaluation needs to be submitted within a month after the announcement of the results. Candidates will have to submit the request form in the evaluation centre along with a DD favouring IGNOU. The fees for re-evaluation will be Rs. 750 for per course. The revaluation results will be available after at least thirty days of submitting the request. Candidates can also submit a request for photocopy of answer sheet by drafting a DD in favour of IGNOU payable at where the request is being submitted. Candidates will have to submit the request at the evaluation centre within 45 days after the results are announced. Applicable charges are Rs. 100 per course. Q. When will the grade card of IGNOU 2019 be released? A. The grade card for the January 2019 cycle will be released in the month of December 2019. For the July 2019 cycle, the dates for result and grade card are yet to be notified. Q. What mode will the IGNOU grade card 2019 be released in? A. Candidates will be able to access their grade cards in online mode. Q. What credentials will I need to check the IGNOU 2019 grade card? A. Candidates will need to enter their enrolment number and programme they want to check the grade card for. Q. How is the grade card of IGNOU 2019 different from IGNOU result 2019? A. The IGNOU grade card is a detailed statement of the candidate’s academic performance mentioning candidate’s marks in assignments, term end exam theory marks, term end exam practical marks, and status (complete/not-complete). On the other hand, IGNOU result 2019 mentions only the marks obtained by candidate in the term end examination in all the courses. Q. How will the IGNOU grade card 2019 be calculated? A. The grade card is calculated by attributing the given weightages to the following sections - 30% for assignments and 70% for term end theory examinations. So, for example, if a candidate scores 90 marks in assignments, he/she will be awarded 27 marks. And if a candidate scores 70 marks in TEE theory examination, then he/she will be awarded 49 marks. The total marks will be therefore 76 marks (27+49). Candidates can calculate the percentage by adding the marks of all courses and dividing the total by 1200. Accordingly, students will be assigned a grade as per the grading scheme followed by the university. Q. Can IGNOU Grade card 2019 be reevaluated? A. Candidates can get their grade card re-evaluated by submitting a request with the evaluation centre along with a DD favouring IGNOU. The fees charged for revaluation will be Rs. 750 for each course. The results of revaluation will be out at least after thirty days of submitting the request. The revaluation request form will be available online on the official site. Q. Within how many days should I download the grade card of IGNOU 2019? A. Candidates should ideally download the grade card within few days after announcement of results, take its print out and retain if for further references. However, candidates will be able to access the grade card at any point of time using their enrolment number and name of the programme. But it is advisable that candidates keep a copy of the grade card with them at all times. Does IGNOU provide D.el.ed/ D.ed program.. if yes can u provide me the details. I got admission in MA english in jan 2018.can i give my exams in dec2019 .is it possible.i haven't give any exans yet.